Administrative Law Judge (ALJ) Susan Ruff of the Office of Administrative Hearings, State of California (OAH), heard this matter on September 17, 19, 22, 23, 24, 25, 29, and 30, 2008, October 27, 28, 29, and 30, 2008, and November 3, and 7, 2008, in Laguna Hills, California. Jennifer Kropke, Esq., represented the Student and his parents (Student) at the hearing. Student’s mother and father were present throughout most of the hearing. Student was not present. Jack Clarke, Jr., Esq., represented Adelanto Elementary School District (District) at the hearing. Rebecca Ness also appeared on behalf of the District. Ruth Aldrich appeared on behalf of the Desert/Mountain Special Education Local Plan Area (SELPA). On May 22, 2008, Student filed a request for due process hearing against the District in OAH case number 2008050846. On June 10, 2008, Student filed a second request for due process hearing against the District in OAH case number 2008060702. On June 25, 2008, OAH issued an order consolidating Student’s two cases. On July 11, 2008, Student filed a First Amended Due Process Complaint in the consolidated cases. On August 15, 2008, the District filed a request for due process hearing against the Student in OAH case number 2008080551. On August 20, 2008, the District filed a Motion to Consolidate the Student’s cases with the District’s case. On August 22, 2008, OAH granted the motion to consolidate and ordered that the 45-day timeline for issuance of the decision in the consolidated cases would be based on the date of filing the due process complaint (the First Amended Due Process Complaint) in OAH case no. 2008060702. On August 22, 2008, the parties filed a request for a continuance of the hearing in the consolidated cases. On August 22, 2008, OAH granted that request for a continuance. At the conclusion of the hearing on November 7, 2008, the matter was taken under submission. a) Did the District deny Student a free appropriate public education (FAPE) in school year 2006-2007 and extended school year 2007 by its failure to find Student eligible for special education and related services under one or more of the eligibility categories of (1) emotional disturbance (ED); (2) specific learning disability (SLD); (3) autistic-like behaviors, or (4) speech and language impairment (SLI)? b) Did the District deny Student a FAPE in school year 2007-2008 by its failure to find Student eligible for special education and related services under one or more of the eligibility categories of (1) ED; (2) SLD; (3) autistic-like behaviors; or (4) SLI? c) Did the District deny Student a FAPE after February 21, 2008, (the date the District found Student eligible for special education), by failing to provide Student with an appropriate placement and related services? d) Did the District deny Student a FAPE after February 21, 2008, by failing to include goals in Student’s Individualized Education Program (IEP) to provide him with a meaningful educational benefit? e) Did the District deny Student a FAPE by preventing his parents from meaningful participation in the IEP process by refusing to produce educational records pursuant to Education Code section 56504? 1. Student is a 13-year-old boy who is eligible for special education under the eligibility category of ED. Student currently resides and is being educated at Devereux School, a residential treatment facility located in Florida. Student’s parents reside within jurisdiction of the District. Did the District deny Student a FAPE in school year 2006-2007 and extended school year 2007 by its failure to find Student eligible for special education and related services? 2. Student contends that the District should have found Student eligible for special education during the 2006-2007 school year under one or more of the eligibility categories of ED, SLD, autistic-like behaviors, or SLI. 3. The appropriateness of a district’s finding of eligibility or lack of eligibility of a child for a given school year is based on the information the district had available at the time the determination was made. The district is not held to a standard based on “hindsight” or information that was acquired later. 4. As will be discussed in detail in the Factual Findings below, during the 2006-2007 school year, the District held IEP meetings on August 30, 2006, and October 20, 2006. Therefore it is first necessary to examine the information possessed by the District on the dates of these IEP meetings to see if the District should have made a determination that Student was eligible under one or more of the four categories raised by Student. Assuming the District’s decision was appropriate as of those two IEP team meetings, it is next necessary to look at the events which took place after October 2006, to see if the District acquired additional information that should have led the District to a different determination later during the school year. 5. Student’s parents adopted him when he was an infant. His biological mother had a history of substance abuse. 2 Prior to attending school in the District, Student had been diagnosed with attention deficit hyperactivity disorder (ADHD) and suspected bipolar disorder. He had taken numerous medications over the years relating to these and other medical conditions. In February 2006, he was hospitalized for five days in a psychiatric hospital as a danger to himself or others because of homicidal ideation towards his mother and other family members and thoughts of harming himself. Student received counseling services beginning around that time from Dr. Herman Clements, a physician specializing in psychiatry. Dr. Clements continued treating Student until Clements moved out of California in 2008. 1 The District initially sought an order permitting an occupational therapy assessment as well. However, that issue became moot because Student’s parents consented to the occupational therapy assessment. 2 Aside from this one reference to Student’s biological mother, all other references to Student’s parents in this Decision are to his adoptive mother and father, not his biological parents. 3 As discussed in Legal Conclusion 5, under those five regulatory criteria, a child is eligible for special education if, because of a serious emotional disturbance, the child exhibits one or more of the following characteristics over a long period of time and to a marked degree, which adversely affect educational performance: 1) an inability to learn which cannot be explained by intellectual, sensory or health factors; 2) an inability to build or maintain satisfactory interpersonal relationships with peers and teachers; 3) inappropriate types of behavior or feelings under normal circumstances exhibited in several situations; 4) a general pervasive mood of unhappiness or depression; and 5) a tendency to develop physical symptoms or fears associated with personal or school problems. 4 In Student’s Issue Statement filed on August 22, 2008, Student alleged that this transition placement in the SDC denied Student a FAPE. However, as ALJ Robert Helfand correctly determined during the Prehearing Conference held on August 11, 2008, Student had not yet been found eligible for special education services at that time, so the real issue is whether the District should have found Student eligible for special education, not whether a particular placement was appropriate. The propriety of that SDC placement is not an issue in this case. However, even if it was at issue in this case, there was no denial of FAPE based on that placement – the District’s actions were proper given the information the District had at the time and the parents’ agreement to the placement. 5 Ness testified that the only time she did not see Student smile during an observation was when Student knew he was being observed, particularly when Davidson was doing the observation. 6 The parties dispute whether the parents or their attorneys denied permission, but the evidence established that Wesson never received explicit permission from Student’s parents to make the observation. 7 In the District’s closing argument, the District did not really contest the issue of whether Student had a disorder in one of the basic psychological processes, but instead focused on the issue of whether Student needed special education to access the general education curriculum. 8 Once an IEP team finds a child eligible for special education, the district is required to provide special education and services to meet all the child’s unique needs, not just those related to the particular eligibility category listed on the IEP. (See, e.g., 34 C.F.R. § 300.304(c)(6) (2006).) Arguably, therefore, it is not necessary to review the rest of the school year to determine whether the District should later have found Student eligible under ED or autistic-like behaviors. However, to make certain that this Decision contains all necessary Factual Findings and because an award of compensatory education is an equitable remedy which can be affected by the actions of the parties, this Decision will briefly examine the events that occurred between the October 20, 2006 IEP meeting and the end of the 2006-2007 school year. 9 Joseph Haraszti, M.D., Student’s treating psychiatrist after Dr. Clements, also testified that Student required a residential placement. However, he did not begin treating Student until approximately May 2008, so his opinion could not have been considered by the District during the February 2008 IEP meeting. 10 There was a problem during the hearing with a mix up in the documents produced to Student in the District’s exhibit binders. However, that mix-up was not related to any refusal to produce documents on the part of the District. If anything, the District’s error in the exhibits books involved the production of too much information, not too little – the documents inadvertently produced to Student’s counsel included privileged documents such as letters between the District’s counsel and his clients. 11 Alternatively, the District and the Student can agree on another NPA provider to provide 210 hours of equivalent services to Student while he is at Devereux or after he returns. 12 The same reasoning would apply to Davidson’s recommendation for cognitive behavior therapy. Because none of these are appropriate compensatory education remedies under the facts of this case, this Decision makes no findings as to whether any of these three requests are necessary for Student’s current education – that is not at issue in this case and is a matter to be decided by Student’s current IEP team. 13 These services will also be sufficient to compensate for any lost educational opportunity due to the District’s failure to provide HHI instruction for two weeks at the end of the 2006-2007 school year, as discussed in Factual Finding 159. 6. Prior to the 2006-2007 school year, Student was home schooled by his mother. Over time, Student’s mother became concerned about the difficulty Student had learning what he was being taught. She sought out the advice of Christine Davidson, Ed. D., an educational consultant. 7. Dr. Davidson is a licensed educational psychologist. She holds various certificates and credentials related to education, including a multiple subject teaching credential and an administrative services credential. In the past she was employed by the Tustin Unified School District in various positions, including Director of Special Education and Assistant Superintendent. She has performed over 1,000 psychoeducational assessments of children, including emotionally disturbed children and children on the autism spectrum. 8. Davidson conducted an educational assessment of Student. As part of that assessment, she tested Student on February 18 and 19, 2006, at her office. 10. To test Student’s academic achievement, Davidson used the Woodcock-Johnson III Tests of Achievement (WJ-III). Student received the following scores on the various subtests: Oral-Language Extended 93, Listening Comprehension 95, Oral Expression 94, Broad Reading 85, Basic Reading Skills 98, Phoneme/Grapheme Knowledge 101, Broad Math 88, Math Calculation Skills 84, Broad Written Language 83, Basic Writing Skills 93, Written Expression 81, Punctuation and Capitalization 82, and Handwriting 93. His cluster scores were: Academic Skills 93, Academic Fluency 79, and Academic Applications 84, for a total achievement score of 82. 11. Based on Davidson’s use of Student’s Perceptual Reasoning Composite score of 127 as his IQ score, Davidson found that Student exhibited a severe discrepancy between cognitive ability and achievement in many different academic areas, including broad reading, broad math, broad written language, basic writing skills, written expression, academic fluency, and academic applications. 12. To assess Student’s behaviors, Davidson used the Conners’ Rating Scales – Revised Long Form (Conners), the Behavior Assessment System for Children – II (BASC-II), the Behavioral and Emotional Rating Scale – Edition II (BERS-2), and the Scales for Assessing Emotional Disturbance (SAED). These are rating scales comprised of a series of questions answered by an individual who knows the child. In each case, Student’s mother answered the questions. Student’s father may have assisted with some of the answers, although the evidence did not establish to what extent he assisted. He did not fill out any rating scales for Davidson’s assessment by himself. Student’s mother noted significant problems in many different areas in her responses to each of the rating scales. 13. Davidson also administered a version of the BASC-II and the Piers-Harris Children’s Self-Concept Scale to Student. In his answers to the two assessments Student rated himself as fairly average in all the different areas. Davidson testified at hearing that many children with ED rate themselves as average because they do not understand their difficulties and do not comprehend that they are different from others. 14. Davidson concluded that Student met all five of the regulatory criteria for ED and recommended that he be found eligible for special education as a child with emotional disturbance. 3 Davidson based her opinion that Student had an inability to learn that could not be explained by intellectual, sensory or health factors on the difference between Student’s “Superior” cognitive ability score (of 127) and his average or below average achievement test results. Davidson also relied upon the response of Student’s mother to the SAED which indicated it was likely that Student had an inability to learn. 15. Davidson based her opinion that Student met the other four ED criteria based on the answers of Student’s mother to the BASC-II, SAED, and Conners, as well as Davidson’s conversations with Student’s mother, her interview of Student, and the history the mother provided of Student’s past conduct. 16. To examine whether Student exhibited autism or autistic-like behaviors, Davidson had Student’s mother complete rating scales, including the Gilliam Asperger’s Disorder Scale (GADS), and the Asperger Syndrome Diagnostic Scale (ASDS). Based on the answers provided by Student’s mother, Davidson concluded that Student had Asperger Syndrome. In particular, Davidson found that Student exhibited an inability to use oral language for appropriate communication, a history of extreme withdrawal and continued social impairment, an obsession to maintain sameness, and extreme resistance to controls. 17. To test Student’s information processing, Davidson administered the Woodcock-Johnson Tests of Cognitive Ability – Third Edition (WJ-III Cog). Student received the following scaled scores on the various subtests of the test: Verbal Comprehension 93, Processing Speed 71, Auditory Processing 103, Phonemic Awareness 106, Short-Term Memory 115, Long-Term Retrieval 111, Working Memory 106, Broad Attention 102, Cognitive Efficiency-Extended Scale 93, and Picture Recognition 105. 18. Davidson also administered the Attention Deficit Disorder Evaluation Scale – Home Version (ADDES) to assess whether Student suffered from ADHD. The ADDES is a rating scale completed by Student’s mother, in which she answered questions regarding Student’s behaviors she had observed. Based in part on the answers given by Student’s mother to the ADDES and the BASC-II, Davidson concluded that Student suffered from ADHD. Davidson also had Student’s mother complete the Sensory Profile, a rating scale designed to examine a child’s sensory processing abilities. Student’s mother rated Student as having a definite difference from typically developing children in several areas. 19. Based on the results of the WISC-IV, the WJ-III Cog and the other tests, Davidson concluded that Student suffered from a visual processing disorder in the area of processing speed and ADHD in the area of inattention. 21. Based on Davidson’s report, Student’s parents contacted the District and met with District personnel on June 2, 2006, to discuss the possibility of enrolling Student in the District schools. The parents provided the District with a copy of Davidson’s assessment, but explained that they did not wish Student to be placed in an RTC unless it was absolutely necessary. The District’s director of special education at the time met with the parents, and school psychologist Rebecca Ness was called into the meeting to review Davidson’s report. During the meeting Ness quickly looked through Davidson’s report and commented that it appeared thorough, but the report was over 100 pages long, and Ness did not have time to read it during the meeting. 22. The parents informed the District during the meeting that Student had been home schooled. The parents raised concerns that Student was fragile and said they wanted to protect him because he had never been in public school before. Ness did not ask Student’s mother about the curriculum she used for home schooling during the meeting, because the question would have been premature. Student had not actually been enrolled yet, and it was common for parents to discuss the possibility of enrolling a child, but ultimately choose not to do so. Because the District was about to go on summer break, they discussed having another meeting in mid-August, prior to the start of school, after the District personnel had a chance to read Davidson’s report. 23. At the time of the June 2 meeting, Student was below grade level in his work in both language arts and math. Because of that and because of his small stature, Ness and the parents discussed the possibility of placing Student in a fifth grade classroom instead of a sixth grade classroom. Student’s parents agreed to this placement at the June 2 meeting, but later determined that it would be better for Student’s psychological well-being to be placed in sixth grade with his same-age peers and asked the District to place him in a sixth grade class. Student’s mother reported in the referral for special education that she signed in August 2006 that Student was at the beginning fifth grade level in reading and at a third grade, ninth month level in math. 24. In August 2006, the District conducted an assessment of Student to determine if he required special education. With the parents’ agreement, the District placed Student in a special day class (SDC) taught by Stephen Dente while the District conducted its assessment. There is a factual dispute as to why Student was placed in the SDC class. Ness testified that the District recommended the SDC as a means of transitioning Student from his home school to a public school placement. The SDC class had fewer pupils in it. In light of Davidson’s February 2006 assessment and the parents’ concerns, the District personnel believed the SDC classroom would be better for Student than a general education classroom pending the District’s assessment. 25. Student’s mother testified that she was never informed that the SDC placement was for “transition” purposes prior to August 2006. Instead, based on the June 2 meeting, Student’s mother believed that the District had found Student eligible for special education and that the SDC placement was part of Student’s special education. Her belief was supported by the testimony of Dente, who said that he thought Student had been placed in his SDC class as a special education pupil, not as a transition. 27. Normally a District has 60 days to complete an assessment and hold an IEP team meeting. However, the attorney for Student’s parents raised concerns about the District delaying the IEP process, so the District hurried the August 2006 assessment and held an IEP team meeting as soon as possible. The District personnel did not feel comfortable rushing the assessment process, but they felt pressured to do so. 28. Ness conducted most of the testing of Student on behalf of the District. In August 2006, Ness left her position as school psychologist and became the Interim Director of Pupil Services. She is now the Director of Special Education for the District. She is an adjunct professor at Azusa Pacific University, and is currently teaching a class on special education at the university campus at Victorville. She holds several credentials and has worked as an SDC teacher and resource specialist. She conducted hundreds of assessments during her time as a school psychologist and has attended numerous trainings relating to children with autism and emotional disturbance. 30. Ness also spoke informally with Student’s parents, but did not formally interview them as part of her assessment. Instead, she had them fill out informational forms and rating scales regarding Student’s behaviors, including the BASC-II and the other rating scales discussed below. Ness did not ask Student’s mother what curriculum the mother had been using for Student’s home schooling. Ness believed the information she needed would be contained in the information in Student’s prior report cards. Ness had seen a reference to the textbooks used as part of Student’s home school program, but did not investigate how closely Student’s home schooling matched the California content standards or whether Student’s mother had made accommodations or modifications to the curriculum while teaching Student at home. Ness does not typically ask for that information. She believes she would have no way of determining how well a child was taught by his mother. 31. When Ness conducted her testing of Student, he seemed comfortable, answered the questions well, smiled and made eye contact with her. Ness used the Kaufman Brief Intelligence Test-2 (KBIT-2) to determine Student’s cognitive ability. Student received a scaled score of 82 on the verbal portion of the test (in the below average range) and a score of 95 on the nonverbal portion of the test (in the average range), for a composite IQ score of 87. 32. Ness also administered the Naglieri Nonverbal Ability Test – Individual Administration (Naglieri). She wanted to explore Student’s nonverbal ability further because of the discrepancy between the two scaled scores on the KBIT-2, and because of the high nonverbal ability score Davidson had found. Student obtained a standard score of 93, in the average range. Ness estimated Student’s overall cognitive ability to be in the average range. 33. To test Student’s academic achievement, Student’s SDC teacher Dente administered the Kaufman Test of Educational Achievement, Second Edition (KTEA-2) to Student. Most of Student’s scores were in the average or below average range. However, Student’s standard score in written expression was 65, in the lower extreme range. Student’s score in oral expression was 63, in the lower extreme range. 34. As part of the District’s assessment, Ness administered several tests of Student’s processing skills, including the Beery Developmental Test of Visual-Motor Integration (VMI) and the Wide Range Assessment of Visual Motor Abilities to assess Student’s visual motor skills, the Motor-Free Visual Perceptual Tests – Third Edition to assess Student’s visual processing, the Visual Aural Digit Span Test (VADS) to assess Student’s visual and aural memory, and the Test of Auditory Processing Skills – 3 (TAPS-3) to assess Student’s auditory processing. In each case, Ness concluded that Student scored in the average range or above, but his weakest areas were in the subtests of the TAPS-3 assessing auditory cohesion, which tests higher order linguistic skills involving inferences, deductions and abstractions. 35. The District’s assessment report concluded that the assessment results were a valid and reliable estimate of Student’s current functioning levels. 36. Ness also conducted observations of Student in Dente’s SDC class on August 18, 2006, and August 25, 2006. Because Davidson and Clements had spoken of Student’s behavioral problems, emotional distress and difficulty with transitions, Ness expected Student to have behavioral difficulty in class, so she decided to log his behaviors using the BASC recording methodology form. However, Student engaged in no negative behaviors that she could record during her observation, so she just recorded what she was observing at various intervals. Student participated in class, appeared attentive and focused on the lesson. He exhibited no atypical behaviors. 37. Ness concluded that it was not possible to determine if Student had a specific learning disability, because she could not determine if his prior instruction in his home schooling had been adequate. Ness’s report noted that the District did not have “data-based documentation of repeated assessments of achievement at reasonable intervals….” Because there was not sufficient knowledge about Student to determine that he did have an SLD, Ness concluded that Student did not meet the eligibility requirements for SLD at that time. 38. Ness also concluded that the District did not have sufficient information to determine if Student met the eligibility criteria for ED. Although Student had only been in the District for about 10 days at the time of Ness’s report, Ness relied upon the grades Student received in his home schooling (in which he never received less than a “B” grade), and determined that Student did not evidence an inability to learn. Student did not exhibit an inability to build interpersonal relationships based on his actions during the first 10 days of school and had formed positive relationships with various peers and his teacher. Student had not exhibited any inappropriate behavior and had not demonstrated any depression, physical symptoms or fears related to personal or school problems. 39. Ness also saw no indication during her testing or observations that Student suffered from autism or Asperger Syndrome. He interacted with peers normally, made eye contact, and was alert and attentive in class. 40. Brandina Viotti-Lancaster, a speech and language pathologist employed by the District, administered a speech and language assessment to Student. Viotti-Lancaster received her Bachelor of Arts degree in speech pathology and audiology in 1996 and her Master of Science degree in communication disorders in 1998. She began working as a speech and language pathologist for the District in 2002. 41. As part of her assessment, Viotti-Lancaster reviewed Student’s records and conducted an interview of Student’s mother. She also gave Student several tests to assess all areas of speech and language. 42. To test Student’s articulation, Viotti-Lancaster administered the Goldman-Fristoe Test of Articulation-2. She determined that Student exhibited some minimal articulation errors that did not affect the ability to understand what Student was saying. She did not believe he needed services to address those minimal errors. She also administered the Functional Communication Profile – Revised, the WH Question Comprehension Test, and the Structured Photographic Expressive Language Test – 3, and she conducted an informal language sample analysis. She determined that his oral motor skills, vocal pitch and fluency were functional for speaking purposes. 44. During the hearing, Viotti-Lancaster explained that Student had difficulty during the testing with inferential reasoning. That was the reason he scored in the first percentile in the spoken paragraph subtest. Her report also noted some difficulties with his expressive language skills and difficulties with social skills and pragmatic language. 45. Viotti-Lancaster’s initial report generated on August 27, 2006, put an “x” in the box for “yes,” in answer to the question: “Does the pupil demonstrate difficulty understanding or using spoken language to such an extent that adversely affects educational performance and/or social interactions and cannot be corrected without special education and related services?” However, the evidence established that the box had been checked in error. During her testimony at the hearing, Viotti-Lancaster explained that she had recommended additional observation of Student and speech-language interventions, but not that he be found eligible for special education. It is recommended at this time that [Student] receive language intervention through the school district to address his difficulty with social skills and abstract language use/understanding. Additionally, [Student] should be further observed and informal information should be documented for the next 40-50 days to help determine appropriate academic placement. All concerns and recommendations will be referred to the IEP team for appropriate placement. It is not recommended that [Student] be placed on an IEP for speech and language services at this time. 47. During the hearing, Viotti-Lancaster explained that she recommended this intervention, in part, to help her determine if Student’s deficits were truly due to a disability or if they were from lack of proper instruction. She also felt this type of intervention would benefit any child who was struggling academically. 49. On August 30, 2006, the parties held an IEP meeting to discuss the District’s assessment and Student’s eligibility for special education. Student had been attending public school for less than a month at that time. The District personnel did not believe they had enough information to make Student eligible for special education. They wanted to continue the assessments and observations of Student. Student’s parents believed that Student should have been found eligible at that time. 50. During the meeting, Student’s mother and her counsel requested that Student be removed from Dente’s SDC class and placed in a general education class, pending the results of the District’s additional assessments. The District personnel would have preferred a gradual transition from the SDC class to the general education class, but in correspondence after the meeting Student’s counsel insisted on an immediate placement in general education, so that was done. 51. Clements participated by telephone in the IEP meeting. He spoke about Student’s existing psychiatric problems. He explained that Student had run away from home on more than one occasion and was very prone to misunderstand things that were said to him. Clements had seldom seen more than a week go by without Student exhibiting some type of behavioral symptoms. He was very worried about Student and felt that an RTC placement was necessary for him. 52. Student was thereafter placed in sixth grade general education. He had two teachers for academic subjects in the general education program — Alicia Watts for math and science, and Elizabeth Zinda for language arts and social studies. 53. On September 13, 2006, shortly after Student began in his general education instruction, the District personnel held a student advocacy team meeting (SAT meeting) to discuss accommodations Student might need to be successful in the general education classes. Ness attended the meeting, along with Watts, Zinda, Dente, the school principal, Susan Tipton (a resource specialist) and another general education teacher. Student’s parents were invited to attend the meeting but declined. As a result of that SAT meeting, Student began to receive assistance in mathematics from a resource specialist for one-half hour per day, four days a week. Student was pulled out of his general education classroom and sent to the resource room for this instruction. Other children from Student’s general education classroom who needed additional help with math were also pulled out of the classroom for this resource specialist instruction. 54. A short time after these pull-out services began, Student’s parents learned that Student was being pulled out of class to go to the resource room for instruction. On September 19, 2006, Student’s counsel sent correspondence insisting that Student not be pulled out of the general education classroom in that fashion. Thereafter, the resource specialist went into the general education classroom at various times to assist Student and the other children. 56. Zinda told Ness that Student was making progress in the class. She explained that when Student had started her class he could only write one paragraph, but now he could write five. Zinda reported that Student was one of her top pupils in terms of being on task, was average in popularity, and was one of the best behaved children in her class. His grade was only 48 percent because he did not do his homework. 57. Watts told Ness that Student was not completing his class work in her math class, requiring him to take the work home. When he took the work home he did not complete it. Although Student’s mother reported to Watts that Student did not know how to do the work, Watts observed that Student could do the same work in class. Watts told Ness that Student had friends in class and knew how to ask for clarification when he did not understand something. He was lacking some basic math skills, but was making progress. 58. Ness gave Zinda and Watts the BASC-II and Conners rating scales to fill out around September 21, 2006. She also had Tipton, the special education teacher from the resource room, fill out the BASC-II. Ness knew that according to the manufacturer instructions, only adults who have known the child for at least one to two months are supposed to fill out the BASC-II. The three teachers had known Student for only three weeks at that point, but Ness had them fill it out anyway to get a clear picture of what the teachers were seeing. Ness also had Student’s father and mother fill out the Conners and BASC-II. Ness asked each parent to fill out the rating scales separately. 59. All three teachers rated Student in the average range on the BASC-II, except that Watts rated him “at risk” in the areas of social skills, leadership and functional communication. With respect to functional communication, she reported that Student demonstrated poor expressive and receptive communication skills and that he had difficulty seeking out and finding information on his own. 60. Student’s mother rated Student “at-risk” or “clinically significant” in many different areas of the BASC-II. Student’s father also rated Student “at-risk” or “clinically significant” in many areas on the BASC-II. 61. On the Conners, Watts and Zinda rated Student in the average to slightly atypical range in the various behavioral categories. Student’s parents rated him in the slightly atypical to markedly atypical range. 62. Ness administered the BASC-II and the Piers-Harris Children’s Self-Concept Scale, Second Edition, to Student. His answers came back in the average range on the BASC-II and the average to above average range on the Piers-Harris. His answers on the latter indicated that he may have responded randomly to at least some of the questions, but Ness considered the results of the Piers-Harris to be valid because they were consistent with the results of the BASC-II. 63. Ness also gave the Differential Test of Conduct and Emotional Problems to Watts, Zinda, and Student’s parents. This is a rating scale used to differentiate essentially normal children who have conduct problems (who choose to break the rules) from emotionally disturbed children. All respondents agreed that Student did not exhibit conduct problems. Student’s parents rated him as having emotional problems, while the two teachers did not. 64. Finally, Ness administered the Asperger Syndrome Diagnostic Scale to Watts, Zinda, and Student’s parents. The parents’ responses rated Student as very likely to have Asperger Syndrome, while the teachers’ responses rated him as very unlikely. Ness also interviewed Watts and Zinda to see if Student exhibited any behaviors meeting the criteria for autistic-like behaviors. The teachers told her that he did not exhibit such behaviors. 65. Ness attempted to administer the KTEA-2 to Student again in September 2006 to test his level of achievement. However, Student was upset that he was being pulled out of class to be tested again. When he told his parents what had happened, they insisted that the test not be completed. 66. As a result of her assessments, Ness concluded that Student did not qualify for special education as a child with ED, autistic-like behaviors or SLD. With respect to ED, she determined that the behaviors described by the parents were not occurring in the school setting. The District personnel did not observe an inability to learn. Instead, they observed Student progressing in his classes. The District personnel did not observe an inability to build or maintain satisfactory relationships. Instead they saw Student forming positive relationships with his teachers and peers. Student had not shown any types of inappropriate behaviors or feelings at school, or any depression, physical symptoms or fears. 67. With respect to Asperger Syndrome, Ness determined that Student was not exhibiting any autistic-like behavior in school – he was able to make friends and interact with peers, was comfortable seeking help, did not engage in any repetitive or inflexible conduct, made eye contact, and did not have any delays in cognitive or language development. 69. On October 3, 2006, the District sent a “Report of Unsatisfactory School Progress” to Student’s parents. According to the testimony of the District employees, Student was in fact making satisfactory progress despite the name of the report, but they are required to send the report to the parents of each general education pupil who has a chance of not receiving satisfactory grades. Student’s parents were very concerned when they received the report, and requested copies of Student’s work and test results from the teachers. 70. The District also asked Kenneth Wesson, Ph.D., to observe Student at school in order to help the District determine if Student met the eligibility criteria for special education. Wesson is an expert on educational assessment and teaches classes on assessments, statistics, and behavior management to students at the University of San Diego. He has also taught at the University of California at Irvine and California State University at San Marcos. He has given workshops to educators on identifying autism and autistic-like behaviors, workshops for county psychologists on determining ED, and workshops on how to write assessment reports. Wesson was not an employee of the District and had never worked as a consultant for this District prior to that time. 71. Wesson conducted his observation of Student on October 17, 2006. In connection with his observation and report, he reviewed both Davidson’s and Ness’s reports. Wesson observed Student in the classroom and on the playground. During recess, Wesson observed Student talking with a peer. Student was having a two-way conversation with the other child, and a third child joined them in conversation. During lunch, Student sat at a table with other children and conversed with them. After he finished eating, he played basketball with other children for about 20 minutes. Student had positive interactions with the other team members during the game. One of the other pupils walked with Student back to his classroom. 72. During his observation inside the classroom, Wesson saw Student make eye contact and have what appeared to be appropriate conversations with other children. Wesson did not see any bizarre behaviors by Student or any evidence that Student suffered from depression. Wesson kept track of what Student was doing every 30 seconds to see how often Student was off task. He noticed some off task behavior by Student in his math class, but Student was on task and focused in his language arts class. Student was able to answer questions when called on by the teacher. 73. Toward the end of his observation, Wesson had a brief conversation with Student about basketball while Student was lining up to leave class. Wesson also spoke with Watts and Zinda about how Student was doing in class. They both indicated that Student’s behavior observed by Wesson that day was typical for Student. They told Wesson that Student was not turning in his homework. When Wesson asked them if Student had displayed behaviors associated with depression, they said that he had not. 75. Based on his assessment Wesson concluded that Student did not require special education based on ED. Wesson explained that to have eligibility under ED, a child’s behaviors must be pervasive. As of the October 2006 IEP meeting, there was no indication of problem behaviors outside the home. There was also no evidence that Student suffered from depression. In Wesson’s experience, children who are depressed display symptoms at school. Wesson looks for conduct such as isolation from peers, children who are loners and seldom smile, lack of communication with peers, poor appetite and sleeping in class. Wesson saw none of that type of behavior or any other inappropriate behavior by Student. Wesson observed Student playing basketball at school and interacting favorably with peers. 76. Davidson observed Student in class on October 20, 2006, prior to the IEP meeting. She observed Student try to read aloud in class. She reported that when he could not read some of the words, two boys laughed at him, and that when Zinda asked Student to work with a partner, he moved his desk away from the other child. 77. Viotti-Lancaster continued her speech-language assessment of Student after the August IEP meeting. She conducted an observation of Student in school on October 2, 2006, and obtained information from his teachers. She also used Structured Multidimensional Assessment Profiles (S-Maps) which were rubrics used to assess how Student was doing in certain areas compared to peers, including social skills, classroom participation, nonverbal (oral and written) executive functions, listening, language skills, and vocabulary and word meaning. From the results of those S-Maps and her classroom observations, Viotti-Lancaster determined that Student was doing better with inferences, slang and idioms used in the classroom. Based on his improvement in these areas, Viotti-Lancaster concluded that Student’s prior deficits had been due to lack of appropriate instruction rather than a speech-language disorder. 78. During the same time as the District assessments, Student’s mother reported a very different set of behaviors for Student at home than those he exhibited at school. Shortly after Student began his general education classes, he began to complain to his mother of his inability to do his homework because he did not understand the work. His mother sent numerous letters to the District reporting Student’s frustration and emotional difficulties arising from his homework. The District prepared a homework log that was sent home with Student each day to record his homework assignments. Student’s mother constantly made notes on the log discussing Student’s difficulty with the work. 79. Student’s teachers observed that Student was able to understand the work in class, and they believed that his inability to do the homework was not the result of a disability. 80. On October 20, 2006, the IEP team met again to discuss Student’s eligibility for special education. Based on Student’s conduct in class, the District’s assessments and Wesson’s observation, the District members of the IEP team did not believe that Student had a disability that required him to receive special education to be successful in the general education setting. Based on Student’s history while being home schooled, Davidson’s assessment and observations, Clements’s opinion, and Student’s ongoing difficulties with his homework, Student’s parents believed that Student should have been found eligible for special education. 81. There was a heated discussion during the meeting. According to the District witnesses, at one point Davidson threatened to take Student off his medications to show them the “real” Student. Davidson testified that she made the comment when she was frustrated by the District’s refusal to see her position. She asked what it would take to make them see Student qualified for special education – did the parents have to take him off his medications? 82. Ultimately, the District found Student not eligible, and he continued in his general education program. Should the District have found Student eligible under the category of ED at the August 30, 2006, and October 20, 2006 IEP meetings? 83. A child is eligible for special education if, because of a serious emotional disturbance, the child exhibits one or more of the following characteristics over a long period of time and to a marked degree, which adversely affect educational performance: 1) an inability to learn which cannot be explained by intellectual, sensory or health factors; 2) an inability to build or maintain satisfactory interpersonal relationships with peers and teachers; 3) inappropriate types of behavior or feelings under normal circumstances exhibited in several situations; 4) a general pervasive mood of unhappiness or depression; and 5) a tendency to develop physical symptoms or fears associated with personal or school problems. 84. The evidence supports a finding that the District acted appropriately in finding that Student did not qualify for special education as a child with ED at the August and October 2006 IEP meetings, based on the information the District had at the time. 85. The District’s assessments and observations of Student did not provide the District with any indication that Student suffered from ED which interfered with his educational performance. Therefore, the only evidence that the District could rely upon to make such a finding consisted of Davidson’s report, Clements’s opinion, and the out-of-school conduct reported by Student’s parents. Of these three, the most significant was Davidson’s report because she was an expert in psychoeducational matters. Clements, a psychiatrist, would have limited expertise on the effects of Student’s disabilities on his education. Although Clements spoke at length during the IEP meeting about Student’s severe emotional problems, the District did not see any of those problems in the school setting. The District personnel could reasonably assume that Clements was addressing Student’s difficulties in a home environment, not a school environment. Likewise, Student’s parents could report what happened during home schooling, but could not anticipate what might happen educationally in a public school environment. 86. The District witnesses testified that they had concerns about the validity of Davidson’s findings. First, the District personnel were concerned about the way Davidson determined Student’s cognitive ability score on the WISC-IV. The parties dispute whether it was proper for Davidson to use Student’s Perceptual Reasoning Composite score as his full-scale IQ score. 87. Wesson opined that it was not proper for Davidson to take Student’s area of strength (his Perceptual Reasoning Composite score) and claim that was his cognitive ability. In his opinion, cognitive ability is made up of many facets. 88. During her testimony, Davidson defended her use of the Perceptual Reasoning Composite as Student’s cognitive ability score based on the recommendations in a book known as the Assessment of Children, Third Edition, by Jerome Sattler. According to Davidson, Sattler states that it is unfair to use the full scale IQ score when a child has a significant difference between the Verbal Comprehension and the Perceptual Reasoning scores. Davidson believes that it penalizes a child’s overall cognitive potential based on the child’s disability. She believes that the publishers of the WISC-IV permit a psychologist to use a composite score (such as Perceptual Reasoning) instead of the full scale IQ score. 91. The evidence in this case supports Wesson’s opinion. None of the language in the Sattler text justifies using the Perceptual Reasoning Composite score as Student’s IQ score. Aside from the high score in Perceptual Reasoning, Student appeared to be an average, below average or borderline child in all other cognitive areas. There was nothing else about Student’s testing or scores to support Davidson’s choice to set his full scale IQ at such a high level. By doing so, she painted an unrealistic picture of Student. 92. Ness and Wesson expressed concern about Davidson’s administration of the BASC-II, because Davidson relied only on the report of Student’s mother and Student. It is not usually standard practice to base a finding of ED on the opinions and observations of one adult. The BASC is most effective for determining whether a pupil can be classified as ED when there is input from multiple sources. 93. Wesson also explained that Davidson incorrectly mixed the standards for determining ED with SLD by relying on a severe discrepancy between cognitive ability and achievement to show that Student had an inability to learn that could not be explained by other factors. 94. Wesson’s concern regarding Davidson’s finding that Student had an inability to learn which evidenced ED is supported by the regulatory definition of ED. To be eligible under the category of ED, a child must have an inability to learn which cannot be explained by intellectual, sensory or health factors. Davidson found that Student had such an inability to learn, but also found in the same report that Student had a visual processing problem, ADHD, SLD, and autistic-like behaviors, all of which could explain any inability to learn. 95. There were other inconsistencies in Davidson’s report. Wesson pointed out that Davidson’s report listed best friends for Student, but ED children do not usually have best friends. He did not believe that the data relied upon by Davidson supported a finding that Student could not maintain satisfactory relationships with peers. 96. The nature of Davidson’s recommendations for treatment also raised concerns about her report in the minds of the District personnel. Davidson recommended an out-of-home residential placement for Student before any public educational interventions had even been attempted and before Student had ever attended a public school. The District personnel could reasonably have concluded that the placement was recommended because of home issues, not school issues, particularly when they noticed no atypical behaviors whatsoever at school. It would be quite reasonable for the District to be cautious about accepting Davidson’s report or opinions under those circumstances. 97. Wesson also took issue with Davidson’s findings that Student exhibited the type of atypical behavior that evidences ED. He explained that bizarre behavior for purposes of eligibility for ED refers to inappropriate behavior that has no rhyme or reason. In Student’s case there was a purpose behind the behavior that Davidson cited in her report. In each case, the tantrums and inappropriate behavior by Student were goal-oriented. Further, he found that Davidson’s report showed only problems at home, not pervasive problems over time and to a marked degree. In his opinion, Davidson picked data to support her hypothesis rather than analyzing all the data to see what it showed. 98. Wesson was a very credible witness. In addition to his extensive knowledge regarding educational assessments, he seemed objective in his findings. He is not a District employee, and this was the first time he had acted as a consultant for this District. Wesson testified that he was familiar with home schooling and had home schooled his youngest son, so it was unlikely that he would unfairly blame home schooling for Student’s problems. He explained that when he performs an observation, he assumes that the home schooled child has had the same educational opportunities as any other child. 99. Student contends that there were problems with the District’s assessments. In particular, none of the District personnel had known Student very long at the time they filled out the BASC-II and other rating scales. Davidson explained that some children go through a “honeymoon” period when they first go to a new school, so the District personnel could not be sure that Student’s conduct in class was a representation of how he would act later in the year. However, the complete absence of any atypical behavior or depression by Student in class, coupled with Student’s ability to make friends with his peers was sufficient to allow the District to make its findings regarding ED despite any problems with its assessments. 100. Given the District’s concerns about Davidson’s report, Student’s exemplary behavior and typical conduct in class during his first two months in the District schools, and the assessments and observations conducted by Ness and Wesson, the District had ample basis for believing that Student did not require special education services as a child with ED, up to and including the date of the October 20, 2006 IEP meeting. Even though the District was aware that Student had been psychiatrically hospitalized in February 2006 and had ongoing psychiatric counseling and medication, the District reasonably believed that any problems Student had were home problems, not pervasive problems affecting education. 101. The District did not deny Student a FAPE by failing to find him eligible for special education under the eligibility category of ED at any time before or during the October 20, 2006 IEP meeting. Should the District have found Student eligible under the category of SLD at the August 30, 2006, and October 20, 2006 IEP meetings? 102. As discussed in Legal Conclusions 8 – 10, California law permits a school district to determine whether a child has a specific learning disability that requires special education under two alternative methods: the severe discrepancy approach and the response to intervention (RTI) approach. The severe discrepancy approach examines whether a child exhibits a severe discrepancy between intellectual ability and academic achievement as well as a disorder in one of the basic psychological processes. The RTI approach allows a district to administer scientific, research-based interventions to a child and determine whether the child has SLD based on the child’s response to those interventions. 103. The evidence in the case established that both Davidson’s and Ness’s assessments relied upon the severe discrepancy approach to determine whether Student needed special education because of SLD. At one point during the hearing, Ness testified that she used a combination of the two approaches. However, her report of October 2006 focused on severe discrepancy, not RTI. 104. There are several steps to the determination of whether a child is eligible for special education due to an SLD using the severe discrepancy approach. First, it is necessary to see if a severe discrepancy exists between the pupil’s intellectual ability and academic achievement that is not primarily the result of limited school experience or poor school attendance. Second, it is necessary to determine if the pupil has a disorder in one of the basic psychological processes. Third, if the first two are found, it is necessary to determine if the child requires instruction, services or both that cannot be provided as part of the regular school program. 105. As discussed in Legal Conclusions 12 – 13 below, a determination of severe discrepancy is generally based on a mathematical comparison between the scores on a cognitive test and achievement test. In the tests used by Davidson and Ness, a difference of 22.5 points between the standard scores on the two tests constitutes a severe discrepancy. 106. When Dr. Davidson conducted her February 2006 testing of Student, she determined that Student met the eligibility criteria for special education as a child with a specific learning disability. As discussed above in Factual Findings 9 – 11, based on Davidson’s use of Student’s Perceptual Reasoning Composite score of 127 as his cognitive ability score, Davidson found that Student exhibited a severe discrepancy between cognitive ability and achievement in many different academic areas, including broad reading, broad math, broad written language, basic writing skills, written expression, academic fluency, and academic applications. 107. As discussed in Factual Findings 86 – 91, Davidson’s use of the Perceptual Reasoning Composite score was not appropriate in this case, so her findings of SLD are questionable. However, during the hearing, Davidson pointed out that, even if she used the full scale IQ score of 105, Student still exhibited a severe discrepancy in one or more areas, including written expression (score of 81) and academic fluency (score of 79). 108. As discussed in Factual Findings 31 – 33, Ness’s assessment also found a severe discrepancy between Student’s composite IQ of 87 (or 93, based on the Naglieri) and his achievement scores in written expression (score of 65) and oral expression (score of 63). 109. Ness testified at hearing that Dente did not properly administer the test of written expression during the achievement test of Student. Instead of testing Student at grade level (sixth grade), he tested Student at the level he believed Student was functioning (fourth grade). Ness said that she discounted Dente’s findings on that test for that reason when she completed her assessment. However, she did not mention that problem with Dente’s assessment in her report or note that she had discounted Dente’s test score because of that problem. 110. Ness’s assessment report concluded that: “There is not a discrepancy between [Student’s] intellectual ability and achievement.” She based this on the fact that Student was making progress in classes, so his academic weaknesses appeared to be the result of gaps in his prior home schooling rather than a learning disability. 111. The evidence does not support Ness’s conclusion that Student’s low achievement scores were due to lack of prior education. Student’s mother testified that she taught Student from the California curriculum. The District did nothing to investigate the curriculum Student’s mother used or the effectiveness of her teaching methods. Instead, the District personnel assumed that the prior education had been ineffective because Student seemed to do well in his first two months in class. 112. The parties dispute whether Student was doing well and progressing during his first two months in class. The District relies upon the observations of his teachers. Zinda reported that when Student entered her class, he was only able to write a single paragraph, but by the October IEP meeting, he could write five paragraphs. Watts said she observed progress in class, and Viotti-Lancaster testified the she observed Student using idioms, indicating he had progressed in his areas of deficit in speech-language. 113. Student contends that there was no such progress. As stated in Factual Finding 69, above, at the same time Student was supposedly making progress, the District sent a Notice of Unsatisfactory School Progress to the parents. Although the teachers testified that this report did not mean Student was not making progress, the fact that it was sent indicates the District personnel had concerns about his progress. 114. Student also points to the results of Student’s Criteria Reference Tests (CRT) in reading and math administered by the District to Student in August 2006 and October 2006, which showed that Student stayed largely the same in math and scored worse in reading. These CRTs are used for diagnostic purposes by District personnel, to help determine in which performance group to place a general education student. At hearing, Zinda explained that these CRTs are not a good indicator of progress because of the nature of the tests – if Student missed a question, it would drop him down to a lower level. However, no matter how reliable these CRTs may have been to give an exact measure of Student’s achievement, the test results certainly did not show progress by Student. The District presented no test scores from the same time period to show that he was making progress to conclude that his prior home instruction was the cause of his severe discrepancy. 115. In addition, as stated in Factual Finding 78 above, the District was aware of Student’s difficulty with his homework based on the notes in the homework log and the letters from Student’s mother. 116. Perhaps the most telling piece of evidence is the SAT team’s decision to pull Student out of his general education math class for specialized instruction from a special education teacher in the resource room on an almost daily basis. As discussed in Factual Findings 53 – 54, during part of September 2006, Student was receiving special education pull-out services in math in the resource room without an IEP or the parents’ permission. The pull-out instruction was stopped only because Student’s parents complained. 117. The District contends that this pull-out instruction was a general education intervention, not special education. The District points to its “Comprehensive Instructional Plan” for the school, in which the school is divided into “Instructional Performance Groups” depending on the achievement level of the child. The District argues that the pull-out services were “interventions” under that plan, just as Dente’s SDC room had been. However, the very language of the Comprehensive Instructional Plan disputes the District’s contention. While the plan discusses the “at risk before school intervention program” for general education students, there is no mention of pull-out instruction during the school day for general education students. To the contrary, the plan specifically provides for such instruction for special education students: “In class support, as well as, pull-out programs will be utilized for Special Education Students.” In effect, the District was providing special education to Student without affording his parents the procedural protections established by federal and state special education law. 118. The evidence supports a finding that there was a severe discrepancy between Student’s cognitive ability and academic achievement in one or more areas. Even if Dente’s written expression subtest was scored improperly, Davidson’s and Ness’s test results both found severe discrepancies in one or more other academic areas. The evidence also supports a finding that the severe discrepancy was not due to limited school experience or poor school attendance. 119. The next issue is whether the District had sufficient information to conclude that Student suffered from a disorder in one or more of the basic psychological processes involved in understanding or using written or spoken language. Those processes include attention, visual processing, auditory processing, sensory-motor skills or cognitive abilities, including association, conceptualization and expression. 120. Davidson found that Student had ADHD and a visual processing disorder, particularly in the area of processing speed. Student achieved a composite score of only 70, in the lower limits of the borderline range, in the processing speed portion of the WISC-IV, and 71 in the processing speed portion of the WJ-III Cog. 121. Wesson took issue with her finding regarding visual processing. He explained that Davidson took the results of one subtest concerning processing speed and concluded that Student had a visual processing disability. Wesson said that students who have problems with attention tend to score poorly on that particular subtest. In Wesson’s opinion, if Student had a visual processing problem, he would not score in the superior range of the perceptual reasoning skills – a visual processing deficit is an all-encompassing problem. Wesson said that the manual does not permit that type of use of the data. He also stated that a processing speed problem can be addressed in the general education classroom. 122. The evidence supports a finding that Student suffered from a disorder in one of the basic psychological processes involved in understanding or using written or spoken language. Although Wesson took issue with Davidson’s conclusions, there is no question that her testing and assessments found significant problems in attention and processing speed. Student scored in the borderline range in processing speed on the WISC-IV and WJ-III Cog. Wesson himself testified that children with attention problems tend to score poorly on this test. Student had long been diagnosed with and medicated for ADHD and the rating scales filled out by Student’s parents in the assessment supported that medical diagnosis. Whether Student’s disorder in processing speed arose from an attention problem, a visual processing problem, or both, there is no question he was significantly below the average range. 123. Further, the District’s own assessment reports found difficulties with auditory processing. As discussed in Factual Findings 34, 43 and 44, Ness’s assessment determined that Student had problems with auditory cohesion, the ability to draw inferences, and the ability to make deductions and abstractions from information that is heard. Viotti-Lancaster’s speech-language assessment supported Ness’s findings, noting that Student exhibited difficulties in the area of abstract language skills such as inferences and figurative language. 125. The District contends that even if Student met the technical definition for SLD under the code, he did not need special education to access the general curriculum. Both Ness and Viotti-Lancaster concluded that Student’s low achievement scores were due to lack of prior education and that his progress in general education between August 30 and October 20, 2006, demonstrated that any academic problems he had could be corrected by accommodations in the regular classroom. 126. As stated in Factual Findings 111 – 118 above, the evidence does not support a finding that Student made sufficient progress between August 2006 and October 20, 2006, to warrant such a conclusion. The difficulty with Ness’s opinion in this regard is that she appeared to be relying on anecdotal evidence rather than solid data. Ness, when questioned at hearing about whether the District relied on the severe discrepancy method of determining eligibility or the RTI method, explained that she used a “combination” of the two. However, Ness and the other District employees did not testify regarding any specific scientific, research-based interventions that were applied to Student or discuss any evidence of data gathered to see how he responded to those interventions. Instead, because Student seemed to be making progress in his general education classroom based on observations and teacher comments, the District concluded he did not require special education. If the District used an RTI approach to SLD, the District provided no evidence at hearing of specific interventions used or the data gathered to test the effectiveness of those interventions. 127. The evidence supports a finding that the District had ample evidence as of August and October 2006 to determine that Student met the eligibility criteria as a child with a specific learning disability. Both Davidson’s and Ness’s assessments found a mathematical discrepancy between Student’s cognitive ability and achievement scores. Those findings were supported by Viotti-Lancaster’s speech-language assessment, the fact that Student entered school already one or two grade levels behind where he should be, the reports from Student’s mother regarding his ongoing difficulties with homework, and the difficulties noted by the experts regarding his attention and auditory and visual processing. The findings were also supported by the SAT team’s decision to provide pull-out instruction services for Student — if Student was able to access the general math curriculum without special education, there would have been no need to pull Student out of his general education classroom to give him specialized instruction in the resource room. 128. Because the District failed to make Student eligible for special education, Student did not receive the specialized instruction and services he needed. He did not have IEP goals to measure his progress. He was placed in a general education classroom with nothing more than the supports given to any other general education child (except for his unofficial special education in the resource room). His parents did not have the protections of the IEP procedures when they were concerned about his growing frustration and inability to understand his school work. 129. The evidence supports a finding that the District denied Student a FAPE by failing to find him eligible for special education under the primary eligibility category of SLD as of August 30, 2006, and October 20, 2006. Should the District have found Student eligible under the category of Autism or Autistic-Like Behaviors at the August 30, 2006, and October 20, 2006 IEP meetings? 130. A child may require special education if a child exhibits any combination of autistic-like behaviors, including but not limited to, an inability to use oral language for appropriate communication, a history of extreme withdrawal or relating to people inappropriately and continued impairment in social interaction from infancy through early childhood, an obsession to maintain sameness, extreme preoccupation with objects or inappropriate use of objects or both, extreme resistance to controls, display of peculiar motoric mannerisms and motility patterns, or self-stimulating ritualistic behavior. 131. As stated in Factual Finding 16, Davidson concluded that Student met the eligibility criteria as a child with Asperger Syndrome based on an inability to use oral language for appropriate communication, a history of extreme withdrawal and continued social impairment, an obsession to maintain sameness, and extreme resistance to controls. 132. Wesson did not believe that Student was eligible for special education due to autistic-like behaviors. When Wesson observed Student he saw none of the classic symptoms of autism. Student had no problem transitioning from his SDC class to the general education class. Wesson took issue with Davidson’s report, because it solely looked at Student’s home. In Wesson’s opinion, if a child truly has autistic-like behaviors, the child will display them everywhere. For example, an individual with autistic-like behaviors does not turn off a problem with extreme resistance to controls at school. He believed that Davidson should have gathered information from people in the community instead of simply relying on Student’s mother. He also explained that Student’s obsession with one subject (Spiderman) was not alone sufficient to show Asperger Syndrome. 133. Wesson’s opinion is supported by the other testimony. Every District assessor noted that Student made appropriate eye contact during their assessments and observations. They also noted that he appeared to have no trouble with transitions during testing or between his class placements. They observed him laughing and conversing normally with peers at lunch time and on the playground. 134. The evidence supports a finding that, as of August 30 and October 20, 2006, the District properly determined that Student did not qualify for special education as a child with Asperger Syndrome or autistic-like behaviors. The District saw no evidence of any of the problems discussed by Davidson during the District assessments and observations. Student smiled, made eye contact with peers and made friends in class. He was very compliant and did not resist any controls. He transferred from the home to school environment and then from the SDC to the general education classroom with no problems. Although problems with Student’s speech-language and communication were noted, there was no inability to use oral language for appropriate communication. 135. There was no denial of FAPE based on the District’s failure to find Student eligible for special education under the eligibility category of autistic-like behaviors up to and including October 20, 2006. Should the District Have Found Student Eligible for Special Education Under the Eligibility Category of SLI at the August 30, 2006, and October 20, 2006 IEP meetings? 136. A pupil has an expressive or receptive language disorder if the pupil scores at least 1.5 standard deviations below the mean, or below the seventh percentile, for his or her chronological age or developmental level on two or more standardized tests in one or more of the areas of morphology, syntax, semantics, or pragmatics. Alternatively, a pupil has an expressive or receptive language disorder if the pupil scores at least 1.5 standard deviations below the mean, or below the seventh percentile, on one or more standardized tests and displays inappropriate or inadequate usage of expressive or receptive language as measured by a representative spontaneous or elicited language sample of a minimum of 50 utterances. 137. As discussed in Factual Findings 40 – 48, Viotti-Lancaster’s testing of Student determined that Student fell below the seventh percentile in several of the subtests on the CELF-4, including a score in the fifth percentile in the core language area of “language memory.” In two other core areas he was at the eighth percentile. 138. Student’s expert Abby Rozenberg opined that Viotti-Lancaster’s test scores were sufficient to show that Student met the eligibility criteria for special education. Rozenberg is a licensed speech-language pathologist and has been working in the field for over 15 years. She received her Bachelor of Science degree in speech-language pathology in 1989 and her Master of Science degree in speech-language pathology in 1991. As will be discussed below, Rozenberg was hired by the District to conduct an independent educational evaluation (IEE) of Student in 2007. Although Rozenberg did not assess Student in October 2006, she reviewed Viotti-Lancaster’s assessment. Her own findings regarding Student’s speech and language problems in her assessment report in June 2007 were very similar to those made by Viotti-Lancaster. 139. Viotti-Lancaster admitted that her testing indicated a borderline difficulty, but explained that in her opinion, a child qualifies for special education when the child exhibits a speech and language disorder that aversely affects the child’s ability to access the general education curriculum. Based on her observations of Student in class, she believed he had deficits, but they did not adversely affect his ability to access the general education curriculum. In her report, she concluded that any deficiencies Student had in speech were due to his home schooling rather than a disorder. 140. Rozenberg and Viotti-Lancaster disagreed during the hearing about the importance of classroom observation as opposed to standardized testing. Rozenberg believed that standardized testing was critical to a determination of whether a child qualifies for special education based on a speech and language impairment. Viotti-Lancaster believes that observation in the classroom is critical to see if a child’s disorder adversely affects the child’s ability to access the general education curriculum. 141. Both Viotti-Lancaster and Rozenberg are very qualified in the area of speech and language and their opinions were well reasoned. However, under the facts of this case, Rozenberg’s opinion is more persuasive. Viotti-Lancaster did very little to determine what contact with peers Student had during his home schooling and the nature of his home school instruction. While her classroom observations were important, they were not sufficient to overcome her own test findings, particularly when there was no further testing to support her belief that Student was improving. 142. The evidence supports a finding that the District should have found Student eligible for special education based on a speech-language impairment in August and October 2006. The failure to do so prevented Student from receiving necessary speech and language services and thereby denied Student a FAPE. 143. The District did not hold any further IEP meetings for Student during the remainder of the 2006-2007 school year. Although the District did not find Student eligible for special education, the District offered certain general education supports to Student, including counseling support and a neuropsychological assessment for Student, both of which his parents declined. 144. The parents agreed to a referral to the San Bernardino County Department of Behavioral Health at the October 2006 IEP meeting, and a referral was made, but the county ultimately declined to conduct an assessment because Student had not been found eligible for special education. 145. After the October 2006 IEP meeting, the District staff and the teachers continued to observe Student periodically to see if he showed any signs of anxiety, but did not see any. Ness personally observed Student in class and on the playground. She did not observe any signs of anxiety. 146. Student continued to have difficulty with his homework. Student’s mother sent so many letters regarding her concerns about his inability to do his homework and other matters that the District directed the mother to send her letters to the front office, not the classroom teachers. Student’s mother also wrote numerous comments on the homework log regarding the difficulty Student had with his homework and the frustration he expressed to her. 147. On November 9, 2006, Student’s counsel sent a letter to the District stating that Student disagreed with the District psychoeducational and speech and language assessments and requested that the District fund independent educational evaluations (IEE). Student also requested an IEE in the area of autism. 148. On November 30, 2006, Student’s counsel sent a letter to the District’s counsel stating that Student had been psychiatrically hospitalized because he had “experienced a meltdown yesterday and expressed the desire to kill himself.” Student spent several days in the hospital and was discharged on December 8, 2006. 149. On December 13, 2006, after Student had been discharged from the hospital, Student’s counsel sent a second letter requesting that the District provide a response to Student’s request for the IEEs. On December 14, the District agreed to fund the IEEs and proposed names for the independent assessors. The parties thereafter engaged in correspondence trying to agree on the identity of the independent assessors. On January 4, 2007, Student’s counsel sent a letter disagreeing with the District’s proposed assessors and proposing different assessors to conduct the IEEs. On March 5, 2007, in response to the District’s request for further information, Student’s counsel sent a letter describing the assessors proposed by Student. On March 27, 2007, Student’s counsel sent a follow up letter asking about the status of IEEs. 150. In approximately March 2007, the District agreed to have three of Student’s proposed assessors conduct the IEEs – Davidson for the psychoeducational IEE, Abby Rozenberg for the speech-language IEE, and Jessica Postil for the autism IEE. The District had difficulty contracting with Davdison to perform the psychoeducational IEE because Davidson was not a certified non-public agency (NPA). However, the District was ultimately able to process the contract, and Davidson began her assessment in April 2007. 151. The District employees continued to observe Student after his November hospitalization, but saw no change in his behavior. Ness testified that when she observed Student after his November hospitalization she saw no signs of anxiety. 152. Student’s report card for the first trimester of school, which ended in November 2006, listed him as advanced or proficient in all academic subjects except math. Student’s report card for the second trimester of school, which ended in approximately March 2007, listed him as proficient in all academic subjects except math. Both report cards listed him as “basic” in math. 153. In Spring 2007, Student took the official State of California STAR test. He scored below basic in reading and far below basic in math. 154. On February 21, 2007, the District offered to have Student participate in a proficiency program designed to assist general education children who score poorly on the state STAR testing. Student’s parents declined to have Student attend this program, stating, in part: “it is likely that his attendance wouldn’t be consistent. [Student] has a close family member in grave health.” The District offered the program again in March 2007, and the parents declined again. At hearing, Student’s mother explained that the after-school program would have interfered with Student’s outpatient psychological program. 155. On March 29, 2007, Clements wrote a letter stating that it was medically necessary for Student to be allowed to go to recess and not to give any oral presentations in class. 156. In approximately March and April 2007, Student’s mother raised a concern about whether Student was being teased or bullied by other children at the school. The evidence does not support a finding that Student was actually bullied by those children. Instead, it appears that Student may have perceived innocent actions and comments made by others as bullying. 157. On May 14, 2007, Student’s counsel sent notice to the District that Student had been psychiatrically hospitalized again beginning on May 11, 2007. The letter did not state the reason for the hospitalization. Student remained in the psychiatric hospital until May 18, 2007. Thereafter, he was in an intensive outpatient program, and Clements recommended that he be placed on home-hospital instruction (HHI). 158. On May 29, 2007, Student’s counsel sent a letter to the District’s counsel explaining, among other things, that Student’s parents did not consent to any other assessments of Student besides the three IEEs already in progress. 159. The District did not provide Student with HHI during the 2006-2007 school year. The parties dispute why that happened – each side indicates that the other side was responsible for delaying the process. However, the parties’ correspondence written at the time demonstrates that the parents were confused about the process, but were earnestly trying to comply with what they believed the procedures to be. The District and SELPA letters to Student’s attorney were somewhat contradictory about what was necessary. The evidence supports a finding that Student’s parents were not responsible for the delay and that the District should have provided HHI services to Student during the last two weeks of the 2006-2007 school year. 160. During the 2006-2007 school year, Student was absent from school on many occasions. Some of these absences were due to the death of a close relative and some were due to his psychiatric hospitalizations or other health matters. In addition, Student sometimes left school early. On some occasions, he had orthodontist appointments. On other occasions Student telephoned his mother during the school day and asked to go home due to emotional issues. Due to Students many absences during the third trimester of the 2006-2007 school year, the District was unable to provide him with grades for that trimester. 161. Abby Rozenberg conducted her IEE of Student on June 5, 2007. She concluded that Student exhibited a speech and language disorder and a suspected auditory processing disorder. She recommended that he receive individual speech-language therapy services. Many of the findings she made regarding Student’s weaknesses and strengths mirrored those made by Viotti-Lancaster eight months earlier. In particular, she found problems with Student’s comprehension and inferential reasoning. The District received her assessment report some time around or after the end of the 2006-2007 school year. 162. On May 1, 2007, Jessica Postil, a Clinical Director of Autism Spectrum Consultants, Inc., conducted an observation of Student at school as part of her IEE. Postil is a psychological assistant who is a doctoral candidate in clinical psychology. She received her Bachelor of Arts degree in psychology in 1995 and her Master of Arts degree in psychology in 1997. At hearing, Postil denied that the District retained her to conduct a full assessment and testing. She said that the District representatives simply told her that they were trying to understand Student better and requested only an observation and report. Postil said she would not have had time to conduct a full assessment and she would have declined if the District asked her to do one. 163. Postil believed that Student was aware he was being observed on May 1, 2007, and that his behavior was different because of that. When he went to recess he first hid from the observers, but later she observed him playing tag with other boys. He was smiling and laughing with the boys. She was not able to reach a conclusion about whether he exhibited autistic-like behaviors at that time. She later met with Student and his mother in her office. She gave Student some informal tests there. His results on those tests indicated he did not have Asperger Syndrome. Postil also met with Davidson to discuss Student, and the two had a telephone conference call with Clements. Postil had brief conversations with Student’s teachers as part of her assessment, and met with the school principal Debra French. 164. Postil concluded that Student exhibited behaviors consistent with Asperger Syndrome. She prepared a report dated June 22, 2007, which was thereafter sent to the District. Postil’s findings in her report appeared to be based almost entirely on the information she received from Student’s mother, Davidson and Clements. 165. Davidson began her IEE of Student in April 2007. She conducted testing of Student and made observations in class at that time. However, she did not complete her report until approximately October 2007, because she wanted to review copies of the protocols from Ness’s August 2006 testing before she finalized her report. 166. The evidence supports a finding that nothing which occurred between October 20, 2006, and the end of the 2006-2007 school year changed what the District should have found regarding Student’s eligibility under the category of SLD. The evidence does not show Student made academic progress during that school year. Although his first two trimester report cards showed he was proficient or even advanced at his school work, none of the testimony or tests indicated that he was capable of doing sixth grade work. His STAR testing results showed him to be below basic and far below basic in his reading and math skills. Student started the 2006-2007 school year below grade level and ended below grade level. He should have been found eligible for special education. 167. Wesson testified that Student had made some progress, relying upon a comparison of Davidson’s academic test results from her assessments in February 2006 and April 2007. However, aside from the subcategories of “understanding directions” and “picture vocabulary,” Student did not make a year’s progress in any other subcategories except reading fluency and writing fluency, where he went from a third grade level to a fourth grade level. In math, his scores went down. Even if the District had received those test results as of the end of the 2006-2007 school year, they would not have been sufficient to show that Student did not require special education due to an SLD. 168. The same is true for the eligibility under speech and language. If anything, the evidence that Student was misreading social cues during the supposed bullying incidents and Rozenberg’s speech-language assessment supported Student’s need to be found eligible for special education as a child with SLI. 169. The evidence also supports a finding that the District did not have sufficient evidence to find Student eligible under autistic-like behaviors up through and including the end of the 2006-2007 school year and extended school year. Student never exhibited autistic-like behaviors in class. Postil believed that Student was “holding in” his behaviors during the school day to avoid appearing different. However, Postil’s report was not received by the District until the summer of 2007, after the end of the regular school year. In addition, the report lacked persuasive value because Postil appeared to be greatly influenced by Davidson’s opinion and Student’s history rather than her actual observations and informal testing. 170. The issue of whether the District had sufficient evidence to find Student eligible as a child with ED by the end of the 2006-2007 school year is more difficult. There was evidence to indicate Student was having serious psychological problems. By the end of the 2006-2007 school year, the District knew that Student had been psychiatrically hospitalized on two occasions, in November 2006 and May 2007. He had missed class numerous times related to health reasons. 171. However, there was also evidence to indicate that those problems were related to home issues. After the November 2006 hospitalization, the District personnel observed Student closely at school and saw no sign of anxiety or distress. The District’s experts testified that, given the serious nature of the conduct described by Student’s experts, they expected to see some evidence of that at school. Instead they saw nothing. 172. Given the evidence on both sides of the question, the District acted properly after the November hospitalization by agreeing to fund Student’s requested IEEs. Any delays in that IEE process were the result of the parties’ negotiations regarding the individuals who would conduct the IEEs, the District’s process of contracting with Student’s preferred assessor (Davidson) to conduct the psychoeducational IEE, and then Davdison’s choice to delay her report to obtain Ness’s protocols. 173. After the May hospitalization, Student’s parents made it clear that they would permit no other assessments of Student besides the IEEs. Without Davidson’s follow up report or any ability by the District personnel to conduct their own follow-up assessments, the May 2007 hospitalization was not sufficient to show that Student met the eligibility requirements for ED. There was no denial of FAPE in that regard. 174. The evidence supports a finding that the District denied Student a FAPE during the 2006-2007 school year and extended school year because it failed to find Student eligible for special education based on SLD and SLI. Did the District Deny Student a FAPE by Determining that Student Did Not Qualify for Special Education Between the Start of the 2007-2008 School Year and February 2008? 175. At the start of the 2007-2008 school year in August 2007, Student was under Clements’s order for HHI. On August 2, 2007, the District sent Student’s mother a letter asking her to fill out the enrollment forms for HHI and provide a physician prescription. On August 23, 2007, Clements sent a letter to the District recommending that Student be placed on HHI, with a reevaluation within nine months to “determine whether [Student] can return to his regular school placement.” Clements explained that Student was a safety risk to himself and others around him. On September 3, 2007, the District sent another letter to Student’s mother explaining that they had received the physician’s prescription, but not the enrollment forms signed by the parents. Student’s counsel returned the signed forms on September 4, 2007. 176. On September 6, 2007, the District noticed an IEP team meeting for September 14, 2007. The purpose of the meeting was to discuss the IEEs from Postil and Rozenberg. Student’s parents were not able to make that meeting, so the District rescheduled it for September 26, 2007. Because Davidson’s IEE had not yet been completed, Student’s counsel requested that the IEP meeting be postponed until they received Davidson’s report. The District received Davidson’s report in November 2007, and attempted to schedule an IEP meeting, but Student’s counsel was not available until after Christmas. 177. In September 2007, Student was psychiatrically hospitalized for purported suicidal ideations. However, the physicians who examined him determined that he was not suicidal, and he was released from the hospital. 178. In late September 2007, Student began receiving home instruction from Jennifer Rader, a district home-hospital teacher. Rader has been teaching for 18 years and works as an independent studies facilitator for the District. 179. As Rader worked with Student, she gradually became convinced that Student suffered from some type of learning disability. In her opinion, Student tried his best at the assignments she presented but had a difficult time grasping the information. Rader began the school year by attempting to work with Student at his grade level curriculum (seventh grade), but quickly determined that the work was far above his academic level. Rader found that Student could not write a five paragraph essay. At one point, Rader attempted to assess Student’s actual academic level, but Student’s mother forbade the assessment. When Rader was eventually given authority to teach Student at his actual academic functioning level rather than at a seventh grade level, she determined that he was at about a fifth grade level in reading and a fourth grade level in mathematics. 180. On November 20, 2007, Rader wrote to Ness explaining her concerns about Student and her belief that Student suffered from a disability of some type. According to Rader, the District personnel had previously believed Student’s mother was “coaching” him to fail, but Rader saw instead that Student was genuinely trying to follow along with the work, but could not do so. 181. An IEP meeting was finally held for Student on January 9, 2008. The IEP team discussed the IEEs, but did not have time to complete the meeting. The District attempted to schedule the follow-up meeting for January 15, 2008, less than a week later. However, Student’s counsel was unable to attend that day. After letters back and forth regarding availability, the meeting was finally held again on February 21, 2008. At the February 21, 2008 IEP meeting, the District found Student eligible for special education under the category of ED. 182. The evidence does not support a finding that the District denied Student a FAPE prior to February 21, 2008, by failing to find him eligible for special education under the eligibility category of ED or autistic-like behaviors. The District tried to schedule IEP meetings during the fall of 2007, but Student’s counsel requested that the meetings be postponed. Without an IEP team meeting, it was not possible to find Student eligible for special education. While there was nothing improper about Student’s counsel requesting the postponements, the District cannot be faulted for failing to hold a meeting and determine eligibility under those circumstances. 183. Once the January IEP meeting was held but not completed, the District tried to reschedule it as soon as possible. The delays in holding the follow-up meeting were due to scheduling difficulties, not any conduct by the District. Once again, the District was not responsible for that delay and was unable to find Student eligible during that time. When the next meeting was held, Student was found eligible for special education. 184. However, the evidence supports a finding that the District should have found Student eligible under the categories of SLD and SLI from the start of the 2007-2008 school year. As stated above in Factual Findings 1 – 174, Student should already have been receiving special education under one or both of those categories at the start of the 2007-2008 school year. Any postponement in holding an IEP meeting should not have affected that eligibility. 185. The evidence supports a finding that the District denied Student a FAPE from the start of the 2007-2008 school year until February 21, 2008, by failing to find Student eligible for special education on the basis of SLD and/or SLI. Did the District deny Student a FAPE after February 21, 2008, by failing to provide Student with an appropriate placement and related services? 186. Student contends that the February 21, 2008 IEP failed to provide Student with an appropriate placement in an RTC and failed to provide sufficient speech and language services to meet Student’s needs. A District is required to offer placement and services sufficient to meet Student’s unique needs and that are reasonably calculated to enable the child to gain educational benefit. 187. On February 21, 2008, the IEP team met and determined that Student would be found eligible for special education and related services under the eligibility category of ED on the basis that he “exhibits a pervasive mood of unhappiness or depression that affects his educational performance over a long period of time and to a marked degree.” The IEP team agreed that a referral would be made to the county department of behavioral health for an assessment and the District proposed that an expanded IEP meeting be held within 30 days to include a non-public school (NPS) coordinator and representative from the department of behavioral health. 188. The District’s offer of FAPE included: home-hospital instruction for 120 minutes per day from February 21, 2008, to June 30, 2008, consultation between the general education HHI teacher and the special education case manager one time per week for 30 minutes, speech and language services two times per week for 45 minutes per session, speech and language consultation once a week for 30 minutes, and a referral for counseling to the Desert Mountain Children’s Center, including individual counseling one time per week for 60 minutes per session. The District also offered to conduct a functional behavior assessment to provide information about Student’s social interactions across environments as part of a plan to transition Student back to a school environment after the end of the HHI. 189. After the IEP meeting, the District began the referral process for the behavioral health evaluation. Because Student was adopted in Orange County, the department of behavioral health referred the matter to Orange County. 190. As discussed at the February IEP meeting, the District scheduled another IEP meeting within 30 days, on March 5, 2008. On February 29 and March 3, 2008, Student’s counsel sent correspondence requesting the purpose of the meeting and stating that the parents would not confirm or deny their attendance until they knew the purpose of the meeting. Ness thereafter cancelled the meeting. On March 4, Student’s counsel sent a letter complaining that the meeting was cancelled. 191. In April and May 2008, the Orange County Health Care Agency (OCMH) conducted an assessment of Student. The assessors who conducted the assessment recommended that Student be placed in an RTC. 192. In May 2008, Student was psychiatrically hospitalized again after expressing homicidal thoughts toward his mother and sister. 193. On June 6, 2008, the IEP team met again to review the OCMH assessment and discuss the appropriate placement for Student. The team agreed to meet again after OCMH located an appropriate RTC which was willing to accept Student. 194. On June 23, 2008, the IEP team met again and agreed that Student would be placed at Devereux School, an RTC located in Florida. The team also discussed and revised Student’s IEP goals. 195. Student contends that the District’s February offer of FAPE was not appropriate because the District should have offered Student an RTC placement instead of HHI. 196. The evidence supports a finding that the District’s proposed placement in the February IEP was reasonably calculated to provide Student with a FAPE in the least restrictive environment (LRE). While the District had sufficient evidence as of February 2008 to find Student eligible for special education under the category of ED, that did not automatically necessitate an RTC placement. Not every ED child requires an RTC placement. An RTC placement, because it pulls a child out of his home and takes away all opportunity for interaction with typical peers in the family, the school, the neighborhood and the community, is one of the most restrictive placements possible. 197. The February 2008 IEP offered Student one-to-one educational services from a credentialed teacher, along with counseling, a functional behavioral assessment and a referral to the county for a mental health assessment. The District experts testified that this offer was sufficient to enable Student to gain educational benefit. 198. Jennifer Rader, Student’s HHI teacher, testified that Student made educational progress in the HHI program. Rader’s testimony in this regard is significant, both because she was the teacher actually instructing Student at the time of the February 2008 IEP meeting, and because her actions made it clear that she was not afraid to take a position adverse to the District. She was very sympathetic to Student’s parents and argued to the District in November 2007 that Student should be found eligible for special education. At the hearing she testified that she thought Student would have difficulty in a general education classroom, but that an SDC placement might be appropriate for him. 200. Just as the District had concerns about Davidson’s initial assessment, the District also had concerns about her IEE. Wesson testified that Davidson’s IEE seemed to minimize everything that the teachers said. He believed that she made a determination and wrote a report reflecting that determination. The tone of Davidson’s report supports Wesson’s concerns. At times, the report was almost adversarial in tone. Davidson spent part of her IEE criticizing the District’s 2006 assessments and other parts citing to statements made during events such as prior IEP meetings to prove that her original 2006 opinion was correct. At hearing, she admitted that she was very frustrated with the District’s position. She was not used to having a school district disagree with her. While her frustration may explain the tone of her report, that same tone eroded the sense of independence that the District would hope to find in an IEE. 201. Clements believed that Student required an RTC because Student’s emotional and educational needs were so intertwined. However, Clements was not an educator. He could give opinions as to Student’s underlying psychological problems, but not as to whether Student would gain educational benefit in a less restrictive environment (such as an SDC class). Further, Clements had made the same recommendation for an RTC in August 2006, well before any school interventions had been tried, so the District had reasons to be cautious about relying upon that recommendation in February 2008. 202. The District had insufficient evidence as of February 2008, that an RTC was the least restrictive placement in which Student could gain educational benefit. Because of Clements’s HHI order, the District could not recommend a less restrictive placement than HHI at that time, but the District knew Student could gain educational benefit in that HHI setting. The evidence supports a finding that the District acted properly by making a referral to the county mental health department for an assessment and by proposing a functional behavioral assessment to gain more information. There was no denial of FAPE. 203. The parties dispute whether the District’s offer of speech-language services twice a week for 45 minutes a session was sufficient to offer Student a FAPE. The law requires a school district to provide related services (also called designated instruction and services), such as speech-language pathology and audiology services, that may be required to assist an individual to benefit from special education. 204. Rozenberg recommended in her IEE that Student receive one hour of individual speech-language services three times a week, along with 30 minutes a week of parent training. She believed that amount of service was necessary to address Student’s many and complex speech issues. 205. Viotti-Lancaster disagreed with Rozenberg. She did not believe that Student needed any speech-language therapy at all to benefit from his special education. She agreed to the District’s February 2008 speech-language proposal because she thought the amount of service proposed by the District would be beneficial to Student, not because he needed it. She did not believe any additional services beyond the District’s proposal were required. 206. Because Viotti-Lancaster’s opinion was based on her belief that Student did not even qualify for special education services under SLI, her opinion on the amount of service necessary is less persuasive than Rozenberg’s. The evidence supports a finding that the District’s offer of two 45 minute speech-language therapy sessions per week was not sufficient to provide Student with a FAPE between February 21, 2008, and the end of the 2007-2008 school year. Did the District deny Student a FAPE after February 21, 2008, by failing to include goals in Student’s IEP to provide him with a meaningful educational benefit? 207. An IEP is required to contain a statement of measurable annual goals, including academic and functional goals, designed to meet the needs of the child to allow the child to be involved in and make progress in the general education curriculum and to meet the other educational needs resulting from the child’s disability. 208. The February 21, 2008 IEP contained 10 goals in the areas of reading comprehension, vocabulary and concept development, math, pragmatic conversation, language and organization. 209. Student does not contend that the goals were inadequate. Instead, Student contends that the goals did not cover all of Student’s areas of need and that there should have been additional goals in the IEP to address Student’s social and emotional needs, including goals related to social skills, cognitive behavioral therapy, anxiety, depression and perspective taking. The District contends that the IEP contained sufficient goals to address Student’s areas of need. 210. In Davidson’s IEE, she recommended goals and objectives for Student beyond those incorporated into the February 2008 IEP. In particular, she recommended goals in: 1) fear and worry management; 2) anger management; 3) initiating, developing, and maintaining friendships; and 4) perspective taking. 211. The evidence does not support a finding that Student had needs in the area of perspective taking at the time of the February 2008 IEP. Viotti-Lancaster and the other District witnesses discussed their observations that Student exhibited the ability to take another’s perspective. Even Postil’s informal testing showed that he did not have any trouble with perspective taking. 212. Likewise, the evidence does not support a finding that Student needed goals in initiating, developing and maintaining friendships. The evidence shows that Student made friends easily. Student’s teachers, who saw him on a daily basis, reported he had no trouble in this area. Every time an observation was done, Student was playing with or talking to other children. The February IEP properly contained goals related to pragmatic language and understanding nonverbal cues. Those were sufficient to address any problems Student might have had. 213. The evidence does not support a finding that Student had needs in the area of anger management. Student never expressed any anger at school whatsoever. There is no evidence that any anger he might have expressed at home interfered with his education – his frustration at not being able to understand his homework was properly addressed in the academic goals contained in the IEP. It was not necessary to have anger management goals. 214. The evidence also does not support a finding that Student required goals on fear, worry or depression. Student exhibited no fear, worry or depression in a school setting. Davidson believed that Student required “cognitive behavior therapy” to address his obsessive-compulsive disorder. In her report, she stated that Student worried about school, taking tests, and other children teasing him. However, to the extent that Student’s worries may have involved his inability to understand the school work, those concerns were addressed in the academic and pragmatic goals in the proposed IEP. There was no need for additional goals to address non-educationally related psychological issues. 215. The evidence supports a finding that the District’s proposed February 2008 IEP had sufficient goals to meet Student’s needs to allow him to be involved in and make progress in the general education curriculum. 216. There was no denial of FAPE based on the goals contained in the February 21, 2008 IEP. Did the District deny Student a FAPE by preventing his parents from meaningful participation in the IEP process by refusing to produce educational records pursuant to Education Code section 56504? 217. Between June 2006 and June 2008, Student’s mother and Student’s counsel made various records requests to the District to produce Student’s educational records. Student contends that the District failed to respond to these requests. 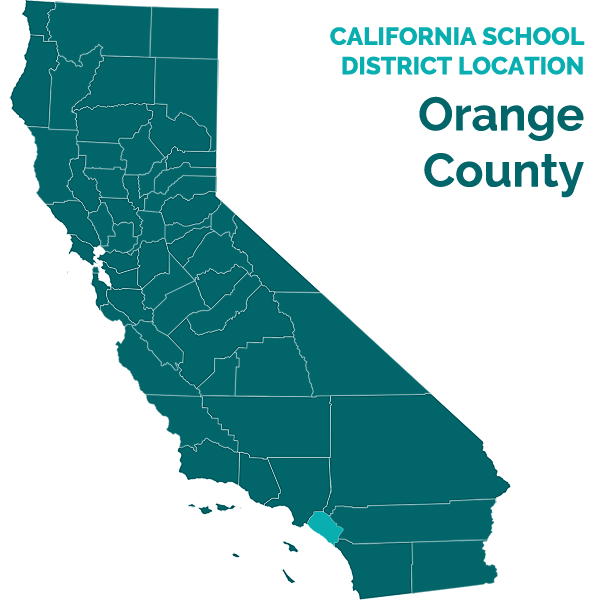 The District contends that it did respond and that the California Department of Education (CDE) already determined that the District responded appropriately in response to a compliance complaint filed by Student. 218. California law permits a parent to examine and receive copies of all school records relating to his or her child within five business days after the request was made. 219. The testimony and documentary evidence established that Student’s mother made requests for copies of school work, tests and homework from the District at various times during the 2006-2007 and 2007-2008 school years. During the hearing Student’s mother testified that she had received very little documentation from the District in response to some of her requests. She said that additional documents she had never seen were produced by the District in connection with this due process hearing. 220. Student filed a compliance complaint with CDE on March 11, 2008. The complaint alleged that Student had requested copies of the CRTs, assessments, and third trimester school work, but the District did not produce the documents. Student submitted over 50 pages of pleadings, declarations and exhibits to CDE in connection with the complaint and the CDE investigation. Not all class work, assignments, homework and quizzes constitute a student’s educational records. Therefore, third semester schoolwork is not subject to production under the request for records code…The district is in compliance. 222. The evidence does not support a finding that the District failed to comply with the records requests made by Student. CDE found the District to be in compliance. Although CDE’s findings regarding the school work and homework dealt with only the third trimester work from the 2006-2007 school year, the same reasoning applies to all requests made by Student’s mother for class work, assignments, homework and quizzes. 223. However, even if there was a procedural violation in this regard, Student has not met his burden of showing that the violation was sufficient to give rise to a substantive denial of FAPE. Student’s mother was provided with voluminous information regarding Student’s studies. She had a regular homework log and was constantly communicating with the District about Student’s progress (or lack thereof). Student’s parents had legal counsel and fully participated in their son’s education at all times. Any failure to produce documents did not impede Student’s right to a FAPE, cause a deprivation of educational benefits to Student or significantly impede the parents’ participation in the decision making process. Should the District be allowed to assess Student by conducting an FAA without the consent of the parents? 225. An FAA is an intensive behavioral assessment of a child in which the assessors conduct systematic observations of a child’s behaviors to determine the antecedents for those behaviors and make recommendations for ways to address those behaviors. Usually an FAA is conducted when there are concerns that a child’s behavior may pose a danger to himself or others. 226. In June 2008, the District requested that Student’s parents sign an assessment plan authorizing the District to perform an FAA of Student. The District planned to send a District representative to Devereux to complete the assessment. 227. On October 13, 2008, Student’s counsel sent a letter to the District’s counsel enclosing the signed consent for the assessment. The parents’ signature on the assessment plan was dated August 13, 2008. 228. On October 22, 2008, nine days after the signed assessment was sent to the District’s counsel, the parents revoked their consent. The parents believe the District’s FAA is unnecessary because Devereux staff already conducted an FAA of Student. 229. No witness from Devereux testified at the hearing. Based on the FAA report from Devereux submitted at the hearing, it appears that Devereux conducted its FAA in September 2008. 230. The District does not dispute that Devereux conducted an FAA, but believes that it is necessary for the District to conduct its own FAA using properly trained California personnel. The District witnesses testified that the Devereux FAA did not meet the requirements of an FAA under California law. 231. The evidence supports a finding that the District is entitled to conduct its own FAA of Student. The very fact that Devereux found it necessary to do an FAA demonstrates that Student’s behaviors warrant such an assessment. Student’s experts and psychiatrist maintain that Student may be a danger to himself and others. The District is entitled to assess Student to determine his current social, emotional and behavioral situation in order to properly address his needs. The District is entitled to an FAA conducted by District personnel which meets the requirements of California law. The District may conduct an FAA of Student even in the absence of parental consent. 232. As set forth in Factual Findings 1 – 185 above, Student was denied a FAPE between August 2006 and February 21, 2008, based on the District’s failure to find him eligible for special education. During the 2006-2007 school year, Student made little or no progress in his studies. When Rader began providing HHI instruction to Student in September 2007, she found him at much the same academic level as he had been when he started school in the District. It is appropriate to compensate Student for the educational opportunity he lost during that time. In addition, as set forth in Factual Findings 203 – 206, the evidence supports a finding the District’s offer of speech and language services to Student in the February 21, 2008 IEP was insufficient to meet his needs. It is also appropriate to provide Student with services to compensate for those lost services. 233. In Student’s Issue Statement filed on August 22, 2008, Student listed various proposed resolutions to this case, including speech and language therapy, social skills training, a visual therapy evaluation, and services from Lindamood Bell. Student also requested that the District fund several educational programs, including Read Naturally, Fast for Word to Literacy, Scientific Learning Reading 4 and Reading 5 program, Daily Oral Language, HELP for Grammar, No-Glamour Grammar and Spotlight on Grammar. These proposed remedies were raised by Davidson in her IEE and she still believes they are necessary. 234. Student’s parents also seek reimbursement for payments made in May and June 2008 to Dr. Haraszti, Student’s treating psychiatrist after Clements left California. Those payments totaled $7,590. In addition, the parents seek reimbursement for payments made to Dr. Clements in the amount of $315. 235. Although it was not mentioned in Student’s Issue Statement, there was also testimony at hearing that the District should be required to fund travel costs for Student’s parents to visit Student at Devereux more frequently than permitted under the current IEP and that the District be required to pay for Student’s medication management program at Devereux. Dr. Haraszti gave his opinion that such a medication management program is necessary for Student’s education. 236. As discussed in Legal Conclusion 45, the purpose of compensatory education is to help a Student recover educational progress lost due to a denial of FAPE. Compensatory remedies can also consist of reimbursement to parents for private educational programs or schooling which they were required to provide because of a denial of FAPE. However, compensatory education is an equitable remedy and there is no requirement that it provide an hour-per-hour remedy for educational time lost. 237. The evidence supports a finding that Student is entitled to compensatory education in the form of speech-language therapy. Student lost two years of speech-language services due to the District’s denial of FAPE. However, as set forth in Factual Finding 188, the District offered an hour and a half per week of speech-language services in the February 2008 IEP, about half-way through the 2007-2008 school year. In addition, Student was receiving one-to-one HHI services in the 2007-2008 school year, so speech and language instruction was not as critical as it might have been in a public school placement. Therefore, a year’s worth of compensatory speech-language services should fully compensate for any educational opportunity Student lost based on the District’s failure to provide those services. 238. Assuming a 38-week school year (as discussed in Student’s Issue Statement), and three sessions a week of speech-language services, that would total 114 hours of speech-language therapy. The District will provide Student with 114 hours of speech-language therapy services. If there is a speech-language therapy provider available to provide the services while Student is at Devereux, the services will begin within 45 days after the date of this Decision. If there is no such available provider, the services will begin within 45 days of the date the District receives notice that Student has returned to an educational placement in California. 239. During the hearing, Rozenberg testified that only a speech-language pathologist with a certification of clinical competence could address Student’s needs. However, the evidence does not support such a finding. Viotti-Lancaster made it clear during her testimony that such a certification is not necessary to address Student’s needs. As long as the individual providing the services to Student is a qualified speech-language pathologist, that is sufficient. 240. The evidence also supports a finding that Student is entitled to compensatory education in the form of Lindamood Bell instruction. The District’s failure to find Student eligible for special education under SLD caused Student to lose a year and a half of educational instruction before he was finally given an IEP with appropriate goals and objectives. 241. Student contends that 210 hours of Lindamood Bell services are necessary. No district witness testified to a different amount of compensatory education. 243. The evidence does not support a finding that the District should be required to fund social skills training for Student. Although the District had some information that Student had social skills difficulties prior to February 2008, it was not enough to find him eligible for special education on that basis. Once Student was found eligible in February 2008, the pragmatic language goals and speech-language services would have addressed any deficits in that area. 244. The evidence also does not support a finding that the District should be required to reimburse the parents for the psychiatric services of Dr. Haraszti and Dr. Clements. There is no evidence in this case that the District’s actions caused Student’s psychological problems. Student had already been psychiatrically hospitalized months before he started in public school. Davidson and Clements recommended an RTC placement before his public schooling began. Although Clements testified that he saw Student growing worse, the evidence does not support a finding that the District’s actions made Student’s problems any worse. Student was psychiatrically hospitalized periodically whether or not he was in school. Although the focus of some of Student’s fears and threats may have shifted from family members to District employees after he attended school, the threatening conduct existed well before the District was even involved and continued well after Student had left the public school environment. The District’s failure to find Student eligible for special education under SLD and SLI may have hampered his ability to progress in his studies, but it did not cause his psychiatric hospitalizations or the need for psychiatric services. The District will not be required to reimburse the parents for any of those services. 246. Student also requests that the District be ordered to accept all the goals proposed by Davidson and Rozenberg in their IEEs. The evidence does not support the need for such a remedy. As set forth in Factual Findings 207 – 216, the District’s proposed goals in the February 2008 IEP were sufficient. It is up to the current IEP team to determine what his current goals should be. 247. The evidence also does not support a finding that the District should be required to fund a visual therapy evaluation. Student’s visual deficits were fully explored by Davidson and the other assessors. Now that Student has properly been qualified for special education, his slow processing speed can be addressed with accommodations and modifications as discussed by Wesson and the other District witnesses. 248. The evidence also does not support a finding that the District should fund any of the other reading and grammar programs proposed in Student’s Issue Statement or the other programs mentioned in Davidson’s IEE. Student is already going to receive 210 hours of individualized Lindamood Bell instruction in reading and math. Assuming a school year has 38 weeks, that is more than five and one-half hours of instruction per week for the school year. Student will also be receiving three hours a week of speech and language services. That will provide him with more than enough specialized instruction to compensate him for any denial of FAPE by the District. Did the District deny Student a FAPE during the 2006-2007 school year and extended school year 2007 by its failure to find Student eligible for special education and related services under the eligibility categories of (1) ED; (2) autistic-like behaviors; (3) SLD; or (4) SLI? Did the District Violate its Child Find Obligations by Determining that Student Did Not Meet the Eligibility Criteria for ED during the 2006-2007 School Year? 6. As set forth in Factual Findings 1 – 129 and 143 – 174 above, the evidence does not support a finding that the District had sufficient information during the 2006-2007 school year and extended school year to find Student eligible for special education under the category of ED. Student did not exhibit any of the five eligibility criteria at school. Student’s failure to make progress during the 2006-2007 school year was explained by his other disabilities and did not evidence an inability to learn for purposes of ED. Student never exhibited unhappiness, depression, inappropriate behaviors or feelings, physical symptoms or fears at school. He made friends and maintained satisfactory relationships with both peers and teachers. Given these factors and the concerns the District had with Davidson’s assessment, it was objectively reasonable for the District to conclude that any psychiatric problems Student experienced at home would not and were not affecting his educational performance. After Student was hospitalized in November 2006 and May 2007, the District acted properly by agreeing to the IEEs requested by Student’s parents. 7. The District did not violate its child find obligation by failing to qualify Student for special education under the category of ED during the 2006-2007 school year and extended school year. Did the District Violate its Child Find Obligations by Determining That Student Did Not Meet the Eligibility Criteria for SLD During the 2006-2007 School Year and Extended School Year? 11. As discussed in Factual Finding 126, the evidence does not show that the District relied upon an RTI approach to determine whether Student qualified under SLD. Although Ness testified that she used a combination of the two approaches, her October 2006 assessment report discussed the elements of the severe discrepancy approach. The District presented no evidence of any specific scientific, research-based interventions used or any data gathered during the use of such interventions. Therefore it is appropriate to analyze whether the District should have found Student eligible for special education using the same approach the District did – the severe discrepancy approach. 12. The severe discrepancy approach is described in California Code of Regulations, title 5, section 3030, subdivision (j). 16. As discussed in Factual Findings 9 – 35 and 102 – 118 above, Ness’s and Davidson’s assessments found that Student had a severe discrepancy between intellectual functioning and achievement. As discussed in Factual Findings 119 – 122, Student has a disorder in one or more of the basic psychological processes involved in understanding or using written or spoken language. The real dispute between the parties lies in whether Student’s disability can be addressed by modifications to the general classroom without the need for special education. 17. As discussed in Factual Findings 102 – 129, the evidence does not support a finding that the District had an objectively reasonable basis for determining that Student’s SLD could be addressed by modifications to the general classroom without the need for special education. To the contrary, the evidence showed that the District attempted to provide the Student with special education in math through a pull-out program to the resource center, but the parents objected. 20. The Hood case, relied upon by the District, is distinguishable from the instant case. In Hood, the evidence showed that the child was working at or above grade level and was passing from grade to grade. In the instant case, on the other hand, Student was already one to two years behind the grade level when he started in the District. As soon as he entered the general education classroom, his mother began to report problems with homework. Despite his report card grades, he scored below basic in reading and far below basic in math on the state STAR test. After a full year in the District’s program, the HHI teacher found him at pretty close to the same academic level he had been at when starting school the year before. 21. The evidence does not support a finding that Student’s needs could be accommodated in the general education classroom. The District should have found Student eligible for special education under the category of SLD during the 2006-2007 school year and extended school year. The failure to do so violated the District’s child find obligations and led to a denial of FAPE. 22. In its closing argument, the District also argued that Student’s claim should be barred by the doctrine of laches, because Student did not file for a due process hearing after the initial denial of special education services. The District cites to no authority to support a laches defense in a special education case. Instead, California law sets a two-year statute of limitations for due process actions. (Ed. Code, § 56505, subd. (l).) The District has not argued that Student’s case was filed outside the statute of limitations. There is no basis to bar Student’s due process case based on laches. Did the District Violate its Child Find Obligations by Determining that Student Did Not Meet the Eligibility Criteria For Autistic-Like Behaviors During the 2006-2007 School Year? (1) An inability to use oral language for appropriate communication. (2) A history of extreme withdrawal or relating to people inappropriately and continued impairment in social interaction from infancy through early childhood. (3) An obsession to maintain sameness. (4) Extreme preoccupation with objects or inappropriate use of objects or both. (5) Extreme resistance to controls. (6) Displays peculiar motoric mannerisms and motility patterns. 24. As set forth in Factual Findings 130 – 135 above, the evidence does not support a finding that the District should have found Student eligible for special education under the category of autistic-like behaviors during the 2006-2007 school year and extended school year. Student did not display behaviors characteristic of autism or Asperger Syndrome in the classroom at any time during that school year or during the District’s assessments. While Student’s experts opined that Student exhibited autistic-like behaviors and Asperger Syndrome, the opinions of the District’s experts were more persuasive as discussed in the Factual Findings. The District did not violate its child find obligation by failing to find Student eligible for special education under the category of autism or autistic-like behaviors. Did the District Violate its Child Find Obligations by Determining that Student Did Not Meet the Eligibility Criteria For SLI During the 2006-2007 School Year? (b) The pupil scores at least 1.5 standard deviations below the mean, or below the seventh percentile, for his or her chronological age or developmental level on one or more standardized tests in the areas listed in (a) and displays inappropriate or inadequate usage of expressive or receptive language as measured by a representative spontaneous or elicited language sample of a minimum of 50 utterances. 26. As discussed in Factual Findings 40 – 48, 77, and 161 above, the standardized tests conducted by both Viotti-Lancaster and Rozenberg produced scores that met the statutory criteria. Viotti-Lancaster relied upon her classroom observations of Student and determined that his deficits in speech and language were due to lack of prior education in his home schooling rather than a disorder. However, as discussed in Factual Findings 136 – 142 and 168, Rozenberg’s opinion was more persuasive than Viotti-Lancaster’s. The evidence supports a finding that the District violated its child find obligations during the 2006-2007 school years and extended school year by failing to find Student eligible for special education under the category of SLI. 27. Student met his burden of proof that the District denied him a FAPE during the 2006-2007 and extended school year by failing to find him eligible for special education and related services under the eligibility categories of SLD and/or SLI. Did the District deny Student a FAPE in school year 2007-2008 by its failure to find Student eligible for special education and related services under one or more of the eligibility categories of (1) ED; (2) SLD; (3) autistic-like behaviors; or (4) SLI? 28. As set forth in Factual Findings 175 – 185, the District violated its child find obligation by not finding Student eligible for special education under the eligibility categories of SLD and/or SLI between the start of the 2007-2008 school year through February 21, 2008. 29. Student met his burden of proof that the District denied him a FAPE from the start of the 2007-2008 school year to February 21, 2008. 33. As set forth in Factual Findings 186 – 202, the evidence supports a finding that the District’s placement offer of HHI in the February 21, 2008 IEP was reasonably calculated to provide Student with educational benefit. Because of Clements’s HHI order, it was also the least restrictive placement that could be offered by the District at that time. 34. As set forth in Factual Findings 203 – 206, the evidence supports a finding that the February 21, 2008 IEP did not offer Student the amount of speech-language services required to enable Student to benefit from his special education. 35. Student met his burden of proof that the February 21, 2008 IEP denied him a FAPE. 37. As set forth in Factual Findings 207 – 216, the evidence does not support a finding that the District failed to include goals in the February 21, 2008 IEP to meet Student’s educational needs. There was no denial of FAPE. 38. Education Code section 56504 provides, in part, that a parent shall have the right and opportunity to examine all school records of his or her child and to receive copies within five business days after a request is made by the parent, either orally or in writing. 39. As set forth in Factual Findings 217 – 224, the evidence does not support a finding that the District refused to produce educational records to Student’s parents. CDE already ruled that the District was in compliance. Although CDE only ruled regarding Student’s request for the third trimester school work, the reasoning used by CDE applies to all other requests made by Student’s mother for school work, homework or quizzes in this case. 41. As set forth in Factual Finding 223, even if there had been a refusal to produce educational records, it did not deny the parents an opportunity to participate in the decision making process, so any procedural violation did not give rise to a substantive denial of FAPE. Should the District be allowed to assess Student by conducting a functional analysis assessment (FAA) without the consent of the parents? 44. As set forth in Factual Findings 225 – 231, the District has met its burden of proving that it should be permitted to conduct an FAA of Student without the parents’ permission. Student’s behaviors are so serious that the IEP team determined he required an out-of-home placement in order to gain educational benefit. Even though Devereux has conducted an FAA, the District is entitled to conduct its own FAA which meets the requirements of California law. Student is Entitled to Compensatory Education Based on the District’s Denial of FAPE. 46. As set forth in Factual Findings 232 – 248, the evidence supports a finding that the District’s failure to provide Student with a FAPE caused Student to lose educational benefit and speech-language services. Therefore, it is appropriate to award Student compensatory education as a remedy for the District’s denial of FAPE. a. If a Lindamood Bell provider is located at or within 30 miles of the Devereux School that Student attends in Florida and is available to provide the services, the services shall begin within 45 days of the date of this Decision. b. If Lindamood Bell is not available to provide the services at the Devereux School, those services will begin within 45 days after Student returns to an educational placement in California. c. The 210 hours can include the Visualizing and Verbalizing program, the Seeing Stars program, the Cloud Nine Math Computation and Reasoning program, or any combination of those programs that the educators at Lindamood Bell believe is necessary. The frequency and daily duration of those services will be left to the discretion of the Lindamood Bell educators. However, all services will be completed within three years of the time they begin. a. If there is a qualified speech-language pathologist available to provide services at the Devereux School in Florida, the services will begin within 45 days of the date of this Decision. b. If there is no qualified speech-language pathologist available to provide services to Student at the Devereux School, the services will begin within 45 days after Student returns to an educational placement in California. The District will pay for and provide these services through a certified non-public agency and will also provide any associated transportation. c. The frequency and daily duration of those services will be left to the discretion of the speech-language pathologist providing the services. However, all services will be completed within three years of the time they begin. d. These services will be in addition to any speech-language services included as part of Student’s current IEP. 3. The District may conduct a functional analysis assessment of Student without his parents’ permission. Pursuant to Education Code section 56507, subdivision (d), the hearing decision must indicate the extent to which each party has prevailed on each issue heard and decided. In accordance with that section the following finding is made: Student prevailed on issues 1(a), (b) and (c). The District prevailed on issues 1(d), (e) and the District’s request for an assessment.